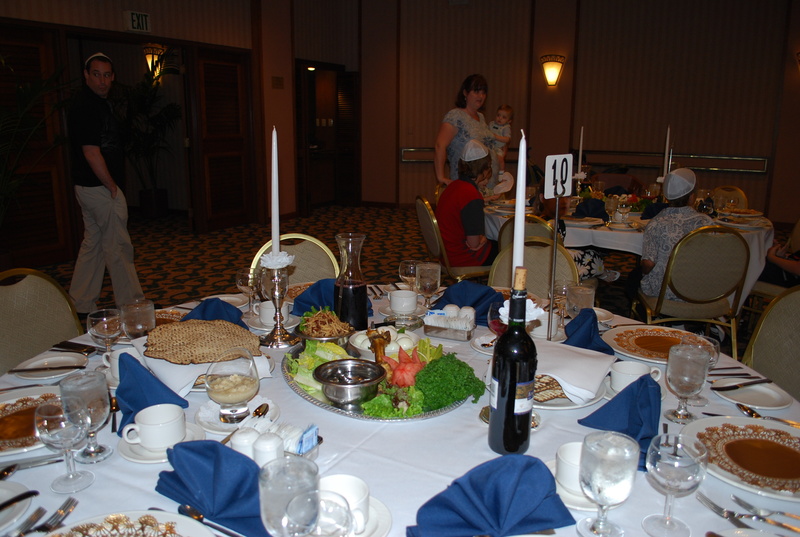 A seder in Hawaii is much like any seder around the world. We tell the story. We eat the traditional foods. And then there are a few special moments that highlight that we are celebrating in this particular place and possibly nowhere else. Last night was no exception. 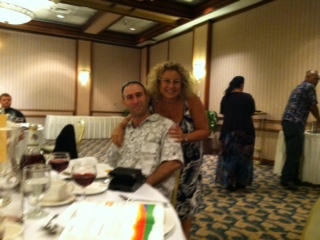 The Aloha Jewish Chapel seder at the Hale Koa Hotel was a pleasure. The table was set with a beautiful seder plate and we told the story that Jews around the world had been telling all day long in different time zones. This particular event has a personal story our family likes to tell. 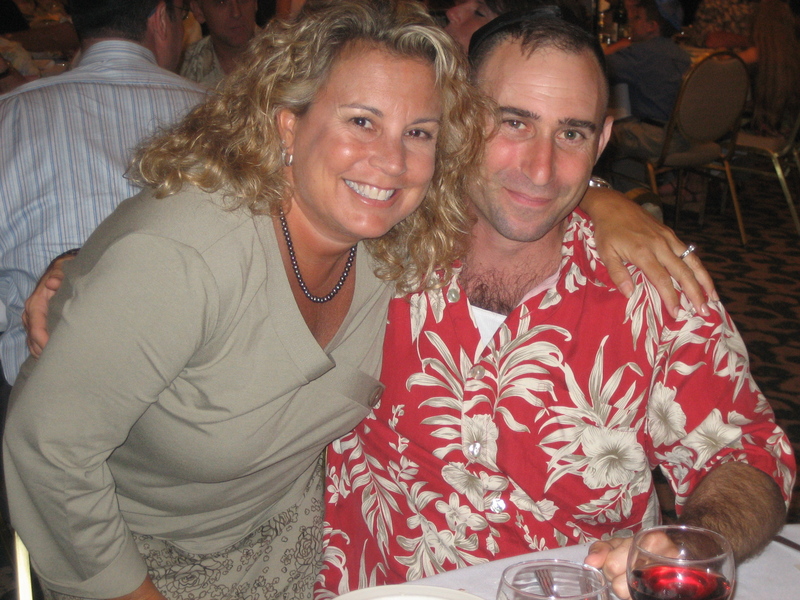 Every year when we attend, we remember that it was at this very seder, eight years ago, that my husband and I had our “Almost First Date.” We have been going every year since–except in 2005 when he was deployed in Iraq. The seder also has some local flavor, but not in the cooking. How many seders have you been to where the guest list is a balance of names such as Watanabe, Fukuhara and Hashimoto? And then there is the music. 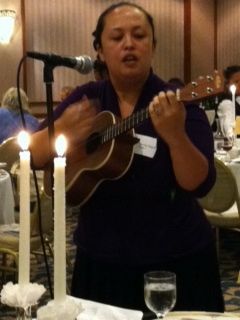 Rachel Haymer played the ukulele at my wedding, my daughter’s Bat Mitzvah and at most of our Temple events. The addition of her ukulele and her voice last night was a real treat. Finally, comes my favorite, and the initial inspiration to write this particular blog entry. When we were singing the four questions, during the part that asks why on some nights we eat either sitting or reclining, but on this night we only recline: She b’chol haleilot anu ochlin bein yoshbin uvein m’subin. Halailah hazeh, kulanu m’subin., both my husband and older daughter changed the word m’subin-reclining- to musubi which is a spam and rice sushi snack that is so far from belonging at a seder that one can only laugh. 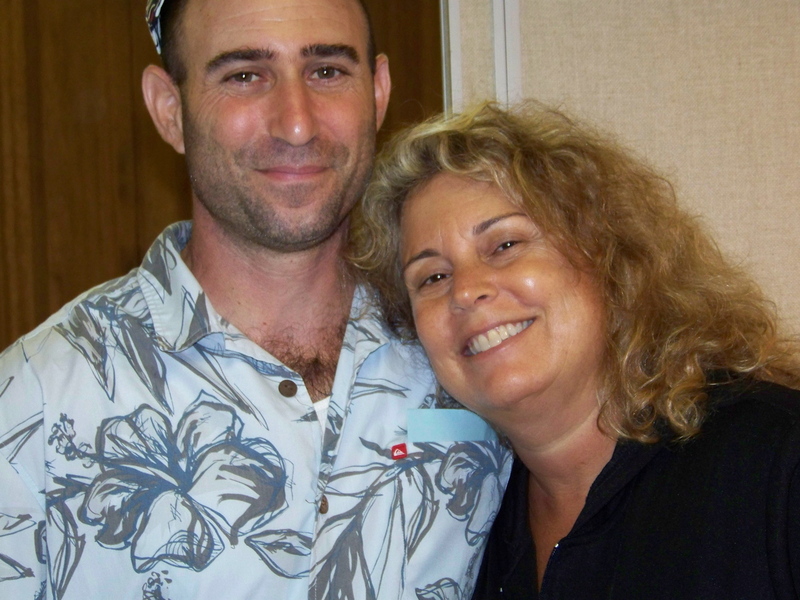 Preparing for Passover in Hawaii has gotten easier in the past few years, but it is still not completely convenient. Most of the neighborhood Safeways have matzah and matzah meal. They bring it out for every Jewish holiday, thinking that we eat it all year round. Now that I am a “Military Wife,” I have access to the commissary which dutifully puts out a table of items a few weeks before Passover, but it wasn’t as robust this year as the last few. Whole Foods in Kahala (about 25 miles from my house and a good hour drive if there is traffic) had a good selection of macaroons and gluten free Passover items. Only the Kapahulu Safeway had gefilte fish. My husband loves gefilte fish. I made the drive. When I was at the commissary yesterday I asked for fresh horseradish and was told they only have the Chinese kind. I figured that would do for a bitter herb. 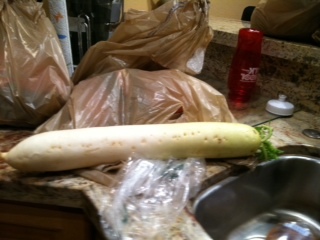 I had no idea that Chinese horseradish was so big. I had to take a photo. Even my husband laughed. While surfing the web, my younger daughter noticed that Party City has ready made plague bags, a new tradition at our seder ever since my oldest sister started sending them to my kids. We went to the Waikele Party City to check them out. When I asked the clerk where their Passover items are, she looked at me and said, “What’s Passover?” So much for buying plague bags there. We will make our own. Despite the obstacles, we are ready. We will celebrate with the community tonight at the Aloha Jewish Chapel seder at the Hale Koa Hotel, organized by our good friends Val Hashimoto and Dan Bender. And thank goodness for Good Friday. In Hawaii it is a State holiday. Since the kids won’t have school and my husband doesn’t have to work, we will have our own seder at home with a few friends. All of the items I have hunted and gathered from across the island will come together on our table as we celebrate our freedom and remember our journey together. A Zeisen Pesach to all.